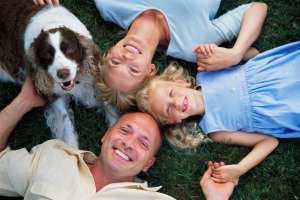 Family systems therapy is based on the idea that individuals are best understood through assessing the entire family. Symptoms in individuals are seen as expressions of dysfunctions. The family is an interactional unit and a change in one member effects all members. Family therapists believe that an individuals relations have more impact in their lives than any one therapist could. The family therapist uses the systemic perspective, it believes that individuals may carry a symptom for the entire family, and an individuals functioning is a manifestation of the way a family functions. Individuals can have symptoms existing independently from the family members but these symptoms always have ramifications for family members. Therefore, family therapists will change the system in order to change the individuals. They do so by changing dysfunctional patterns or relating and creating functional ways of interacting.